The Amiga Museum » How can I tell which Amiga I have? 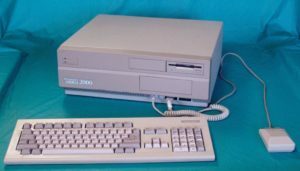 If you’ve never owned or even seen an Amiga, you may have trouble knowing an Amiga 500 from an Amiga 1200, or an Amiga 1000 from an Amiga 600. Also, you may have trouble understanding the naming scheme, I mean, Amiga 2000 doesn’t really seem to tell you much, does it? 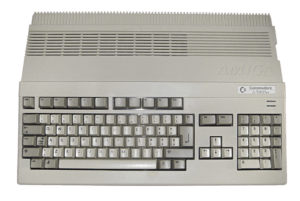 The naming scheme did start off making sense, with the Amiga 500 being the smaller, home oriented successor to the Amiga 1000, and the Amiga 2000 being the larger, more professional orientated successor to the Amiga 1000. That was the thinking behind the naming scheme, but with the release of the Amiga 1200 this division was no longer accurate. 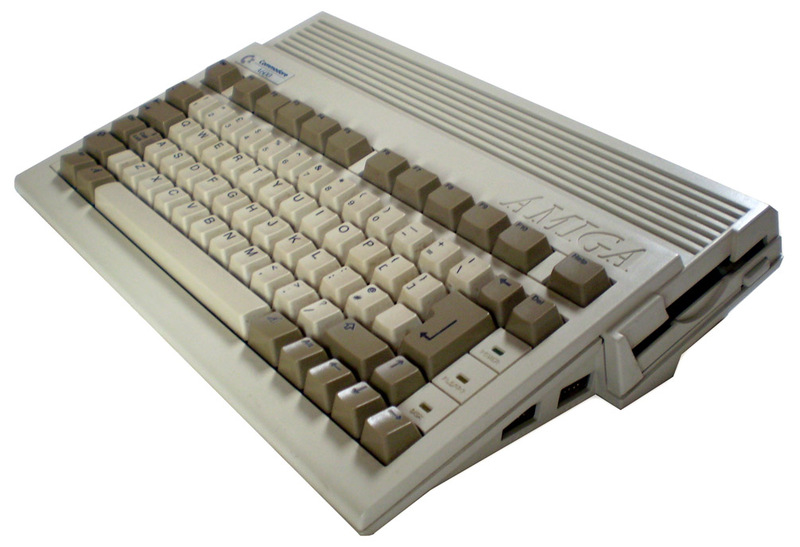 The Amiga series can be split into 3 categories, the traditional separate keyboard design (Amiga 1000, Amiga 2000, Amiga 3000, Amiga 3000 Tower, Amiga 4000, Amiga 4000 Tower), the all-in-one keyboard design (Amiga 500, Amiga 500 plus, Amiga 600, Amiga 1200), and the CD-based units (CDTV, CD32). So this is the first step in determining which Amiga you’re looking at – does it have a separate keyboard to the main system unit? Does it have a CD-ROM drive as part of the design? This will help narrow down which models it could be. So we’ll go in order of release here and provide a idea of what to look for, if the machine you have is nothing like the one being shown and described, scroll down to the next one and hopefully you’ll know which Amiga you have before the end of this page. 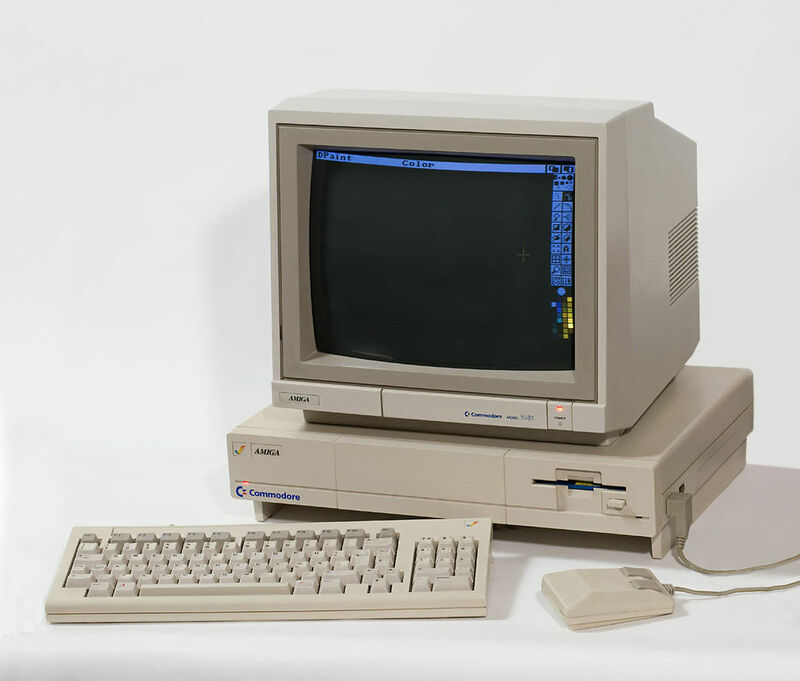 So, first of all, there was the Commodore Amiga, retroactively named the Amiga 1000. The Amiga 1000 is probably the most unique model in the entire Amiga range. 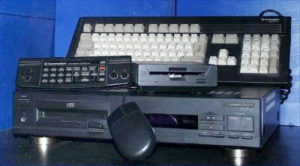 It is the only model to be designed to have a ‘garage’ for the keyboard to reside in whilst not in use, below the computer chassis. Speaking of the keyboard, it is also the only Amiga model to use this particular key layout, and it has a unique cable to link it to the computer chassis. 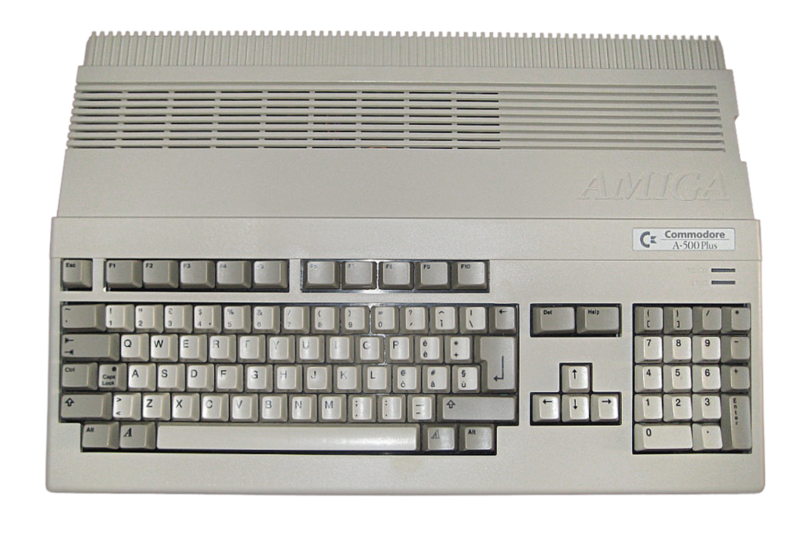 On the chassis itself, it has the Amiga “rainbow tick” at the left on the front, with the word Amiga proudly displayed next to that. Below this is a power indicator LED to show when the machine is on, and below that, on some machines, there is the infamous “chickenhead” C= logo, followed by the word Commodore. The front fascia of the chassis is divided into 3 sections, and the middle section is removable, behind which is the location for the A1050 256K RAM Expansion module, which raised the Chip RAM to 512K. On the right hand side of the front there is the internal 3.5″ Double Density disk drive. 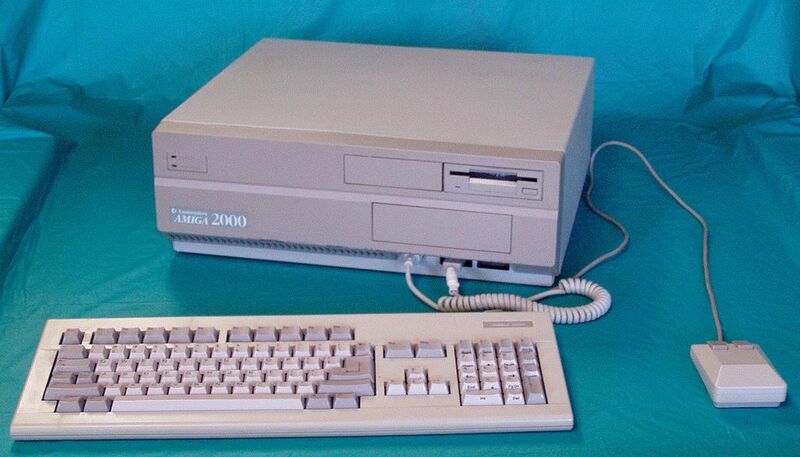 Next we have the Amiga 2000. The first of the all-in-keyboard designs was the original Amiga 500. The CDTV. 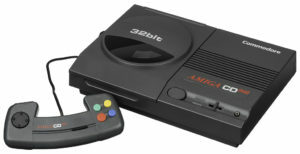 The CDTV has a black case, the only Amiga design to come in this colour. 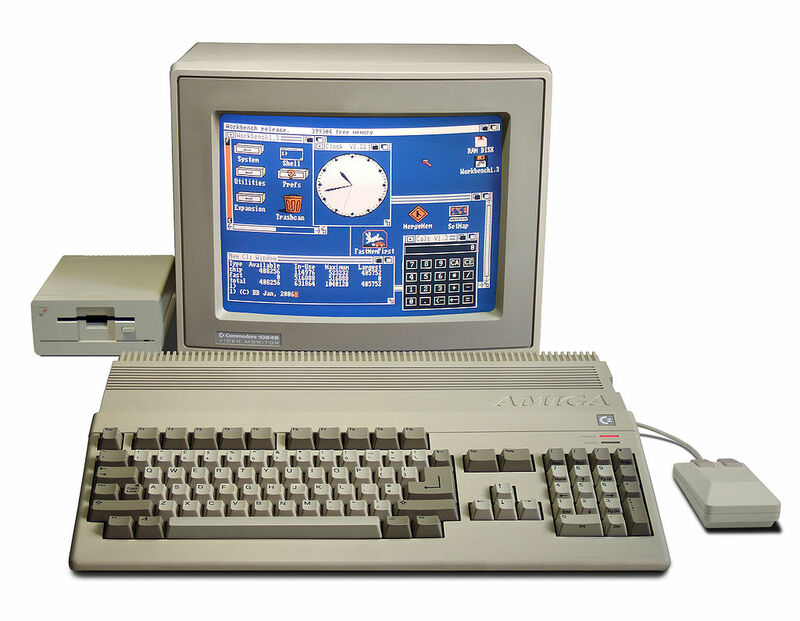 The Amiga 500 plus. 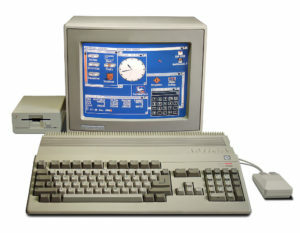 This is almost the same as the Amiga 500 that came before it on the outside, but you can tell it apart from the Amiga 500 by the “badge” under the Embossed AMIGA on the right side, above the power and disk activity lights. On the Amiga 500, this is the Commodore C= logo only, on the Amiga 500 plus, it has the C= logo, along with the word “Commodore”, and beneath that, “A-500 Plus”. 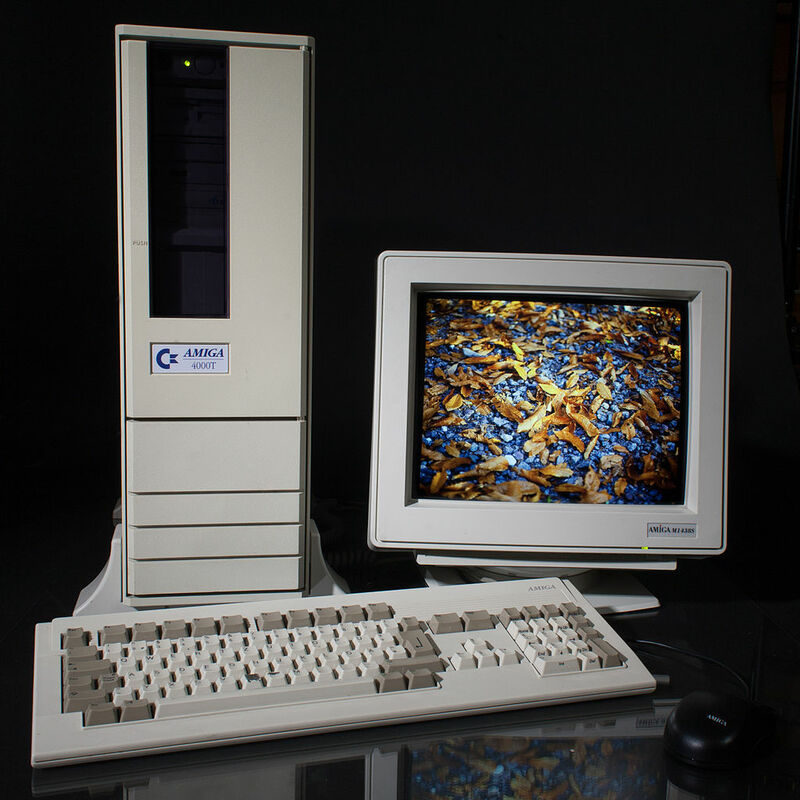 The Amiga 600. This is the only Amiga model that came with a keyboard that didn’t feature a numeric keypad on the right side of the keyboard, making it easy to identify at a glance. It is also significantly smaller than any other model.